The climate of the whole planet is changing. Temperatures in 2015 were 20% higher than the 20th century average, and July of this year was the world’s hottest month since records began. The results of global warming aren’t only expansion of deserts, melting glaciers and rising sea levels. Its increasingly destructive impacts – extreme weather, droughts, floods, crop failures and other humanitarian disasters, including wars – can now be felt by each and every one of us. Scientific consensus is that our planet is rapidly warming and human activity – particularly burning fossil fuels and clearing forests – are its primary causes. To even stand a chance to avoid catastrophic temperature rise of over 2 degrees Celsius, the target of last year’s Paris Climate Agreement, scientists argue that we must keep over 80% of known fossil fuel reserves in the ground. The fossil fuel industries, however, have other ideas. This is why more and more people are taking the matter into their own hands and confronting the industry directly. The movement for climate justice is spreading worldwide and uses a diverse range of peaceful tactics to demand the end of fossil fuel dependence. During May 2016, people on six continents gathered for “Break Free from Fossil Fuels”, the greatest environmental civil disobedience action so far. 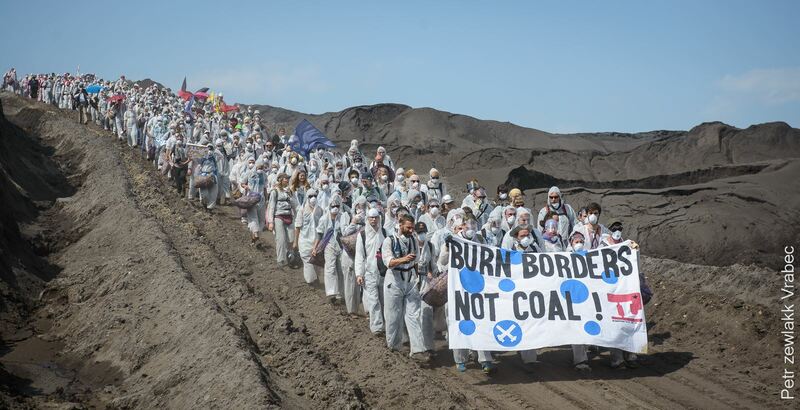 Thousands of people tried to stop extraction in coal mines or block their transport infrastructure. It’s happening everywhere, and Czech Republic won’t be an exception. Twenty-five years ago, on the 30th of October 1991, the first democratically elected government of Czech Republic dealt with a terrible relic of the Communist party regime and set territorial boundaries for the extraction of brown coal in the northern Czech Republic. This magnificent act determined clear limits where coal mining could not exceed and entered into a social contract with inhabitants of the affected regions, who until then were under constant fear of eviction from their homes as mines had been extended. Many villages have disappeared into coal mines throughout Czech Republic before. Those boundaries served their purpose for a quarter of a century. 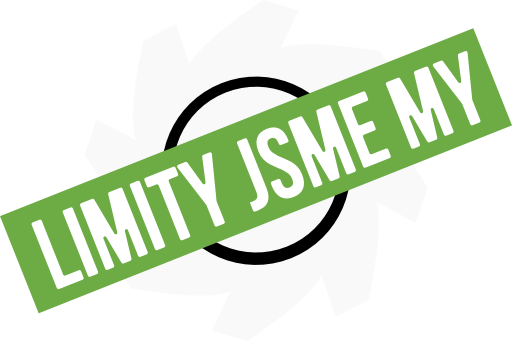 Thanks to the courage and resolution of inhabitants of Horní Jiřetín and Litvínov, and the support from people throughout the whole Czech Republic, they resisted all efforts to break the territorial boundaries of mining, with the unfortunate exception of the Bílina mine. The boundaries of mining itself are not enough. Mining and burning of fossil fuels cannot continue all the way to 2055. The Czech Republic still continues to operate obsolete coal power plants. Every day, these dinosaurs contaminate our environment and lungs with heavy metals, particulate matter and greenhouse gasses. That said, we still export over 20% of energy produced. Instead of the nonsensical appeasement of coal barons we see today, we should instead be pushing the red line on the map back again and end extraction as soon as possible. Today, a clean, low-impact and realistic alternative is readily available. According to a recent study, Czech Republic can produce the vast majority of electricity it requires from renewable sources, therefore reducing emissions of greenhouse gases close to zero by the end of the first half of this century. We can close power plants in Počerady and Chvaletice right now. In fact, we should take it as an easy and realistic first step. What matters is that we can make this first step, and nothing can excuse the inaction on the matter so far. The end of the age of coal. We demand immediate protection of endangered villages and closure of Chvaletice and Počerady power plants as the fastest achievable steps toward complete cessation of mining and burning coal in our country. A transition to renewable sources. We ask Czech Republic to sign up to the plan to switch to clean sources of energy, as seen with the German Energiewende, ending the dependence on dirty energy. Justice for regions and residents affected by mining. It’s unacceptable to let most of the profits be taken away from damaged areas where the wealth was sourced, instead lining the pockets of coal barons or being swallowed by the state. We demand the government increase taxation for extraction of fossil fuels until the mines are closed forever and use the funds to develop and reimburse the region of Ústí, as well as ensure suitable jobs be given to those made redundant by mine closures. The time has come to draw another red line and create new boundaries. Now we are the boundaries. Along with tens of thousands people on this planet, we are pushed by the seriousness of climate crisis to move from words to action. Inspired by other brave acts of civil disobedience during the Break Free mobilisation last year, we have decided to act and to stand up to the coal industry. The age of coal is almost over. Let’s end it together.